File photo: Mark Cuban attends a basketball game between the Dallas Mavericks and the Los Angeles Clippers at Staples Center, Oct. 29, 2015. Mark Cuban, owner of the Dallas Mavericks, has some advice for the potential winner of Wednesday’s $1.5 billion Powerball jackpot. 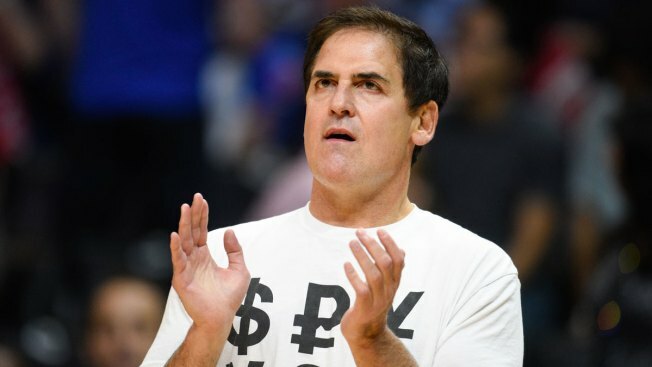 In remarks to the Dallas Morning News, Cuban recommended getting a tax attorney, avoiding the lump sum, and declining requests for cash from friends and relatives, CNBC reported. “You can put it in the bank and live comfortably. Forever. You will sleep a lot better knowing you won’t lose money,” Cuban said. He pointed out the winning the jackpot won’t make someone happy or smarter financially. Cuban was a broke bartender before becoming a billionaire.